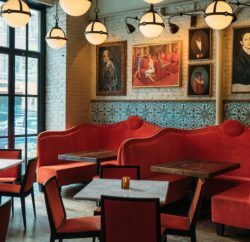 Across the street from the Ravenswood Metra, gorgeously filling out one of the brick warehouses that line both sides of Ravenswood, is Band of Bohemia, a high-end restaurant and brewery founded by two men associated with none other than Alinea. The hood of Ravenswood is the current craft beer capital of Chicago with Begyle, Dovetail, Empirical and Metropolitan inhabiting some of the same brick-lined spaces — there was even an inaugural “Ravenswood On Tap” craft beer festival this summer — and Band of Bohemia participated with its small-batch beer made just for the restaurant, concocted and paired based on the seasonal menu it prepares. Band of Bohemia is an elegant adventure in beer and food. The beer headlines the menu. Each page lists a beer; for example, the golden lemongrass Belgian, a rye ale with lemongrass, cardamom and lavender. Below that will be exciting and experimental small and large plates that pair well with the beer. Each bite and sip meant to merge into more. It makes for a truly engaging experience for the table, best enjoyed with adventurous diners, passing around small beer pours with food that includes a delicious cauliflower curry with goat milk caramel, eggplant and peanuts, and the grilled pork collar with sauerkraut puree, local cherries and black garlic. 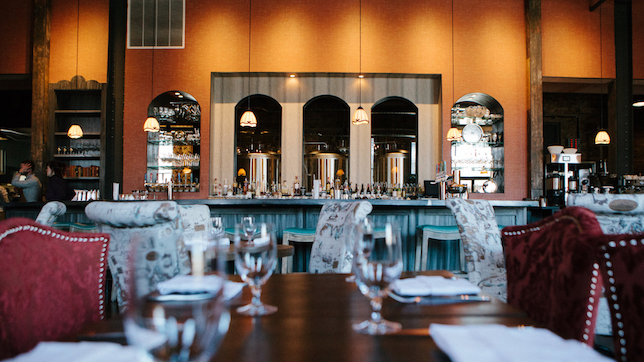 Band of Bohemia is an elegant adventure in beer and food. Every square inch of this rehabbed 1930s pharmacy is shoppable space. It’s the perfect place to find a unique gift or greeting card, or that home décor item you never knew existed but were obviously incomplete without. RR#1, located in West Town, is an emporium of everything. Candles, soap, jewelry, apparel for all ages, even rubber squirrel masks and bulldog bookends dot the shelves and dangle from the ceiling. There are books, bags and baubles galore. 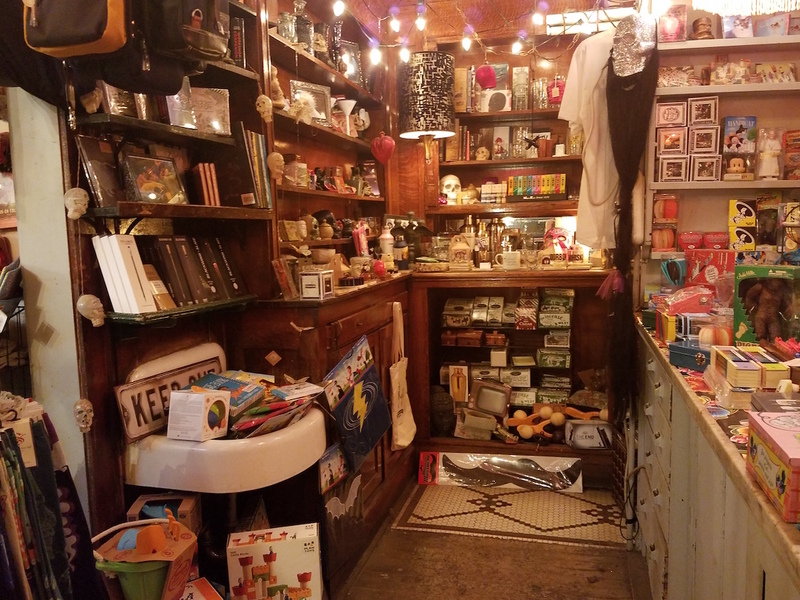 Many items come from local crafters and creators, and much of the merchandise is sourced from gift markets, online “and the elves in the basement,” according to Fred, who has been working there for 12 years. Sherri, the shop’s owner, is queen of curating. She buys what she likes, and that has been working for an amazing 15 years. The shop gets so busy during the two weeks before Christmas that they have to open an upstairs area to accommodate all the product and people. RR#1 is overwhelming in the best way, but the welcoming staff makes you feel at home amidst the creative chaos. RR#1 is located at 814 N. Ashland.